sfe_tr_CityCycle_sign_Reserved, a photo by markevnic72 on Flickr. 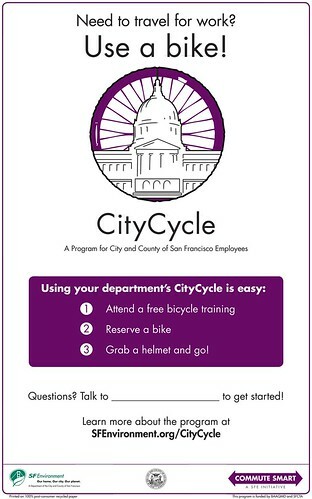 The transportation team of the Department of the Environment was instrumental in starting the City Cycle program, a bicycle sharing program available to City and County of San Francisco government employees. Check it out here. They needed a logo to identify the program. 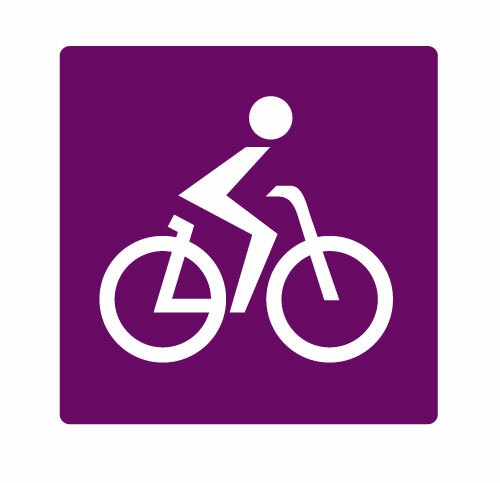 This design is a poster that will designate reserved bicycle parking areas.